The Desktop Ear Model is ideal for those on a budget. 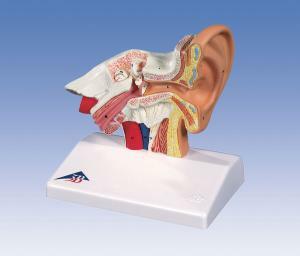 It represents the outer, middle, and inner ear. The ear model is on a base, and the ossicles is encased in resin for protection.